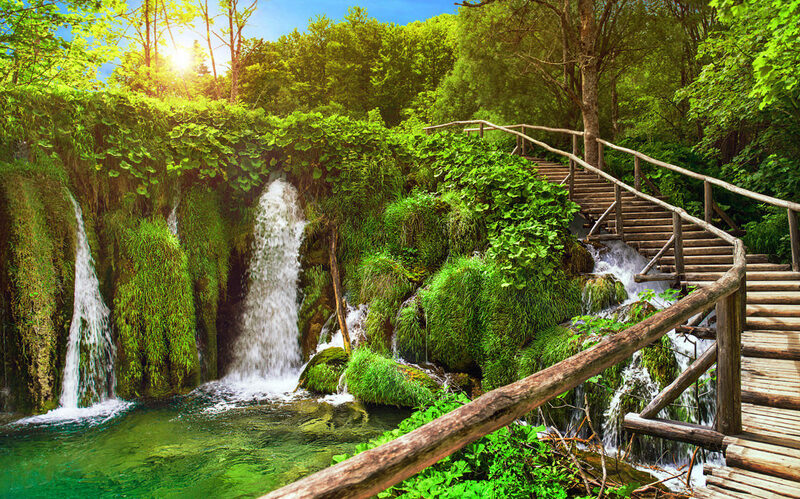 During the Springtime, the water and earth elements dominate. The earth is thawing out and there tends to be a lot of rain. The air is still chilly, but we are preparing for warmer days ahead. As we move toward Spring, there is a natural tendency to clean and clear out stagnation. Think: Spring Cleaning for your body/mind. Aries folks are the crusaders of the Zodiac. They are known for their energetic and proactive approach to life, and they don’t take kindly to being held back. The element, uncoincidentally, connected to Aries is Fire. Fire is hot. It crackles and ignites. In Yoga and Ayurveda disciplines, Agni is the word for fire and refers to our inner fire or digestive “fires.” According to Ayurveda, all illness/disease stems from impaired Agni, i.e., something (usually, toxins) that is putting out our inner fire. As you may know from my previous articles, there are three body constitutions in Ayurveda, called doshas, that correspond with the elements, and they are Vata, Pitta, and Kapha: Vata contains the elements of air and space; Pitta is made up of fire and some water; and Kapha is composed of earth and water. In your body, you contain all of these elements in varying degrees. The Astrological signs also have elements, as noted above, and it is interesting to look at how our Astrological and Ayurvedic charts/constitutions correspond and integrate (if you’re interested to learn more about this EMAIL ME. The seasons, just like your body constitution, have a dominant dosha. The late Winter and Spring is Kapha season. The main principle of Ayurveda (in terms of enhancing wellness and treating imbalances in the body and mind) is: “Like increases Like.” This means that we aim to bring in opposing elements in order to create balance. In the Yoga practice, we aim to blend strength and flexibility for this very reason. Since, in the late Winter and Spring, the earth and water elements are strong, it is helpful to invite in the opposite elements of Air and Fire (Aries) in order to create balance in your life. I will share you with you some Ayurvedic remedies for moving toward the Spring with more energy and vitality, which perfectly aligns with the energy of Aries (therefore, you will likely feel more drawn to these practices now). 1. In the winter, we tend to eat heavy foods/comfort foods (foods high in carbs) in order to store energy, and your body may feel weighed down. Cut down on pasta, bread, cheese, dairy, red meat, and sweets. If you eat meat, eat more fish now. Transition, slowly, to salads and raw vegetables and fruits (if your stomach can handle them). Add some pepper and spice to your food. The idea is to eat lighter and dryer foods and reduce heavy and moisture-filled foods. *Your personal body constitution plays a major role in the types of foods you need for optimal wellbeing (e.g., you may not do well with raw food or spices). This is general insight based on the seasons that you can tailor to yourself if you know your dosha(s). 2. Warm (or room temperature) water with lemon is great during any time of the year and especially now for cleansing. 3. A more rigorous yoga (or exercise) practice to build heat and clear stagnation. You may find that you naturally want to move a little faster and/or focus on strengthening in your yoga practice (or exercise routine). This is also the perfect time for core work (no groans!). 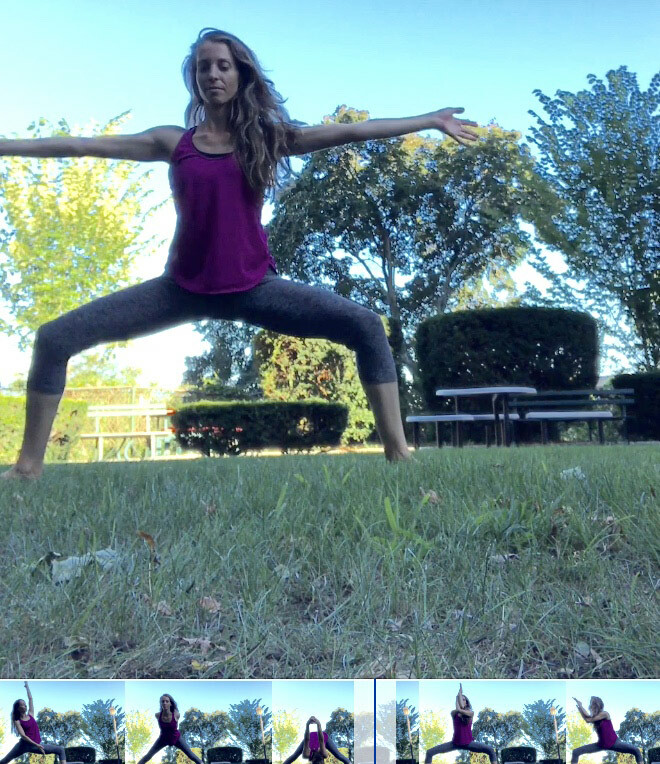 Try out my 2-part 20-minute yoga sequence for clearing out stagnation and creating space. 4. Kapalabhati Breathing: This is a breathing technique for clearing stagnation that you can practice in the morning, before you eat or add into your yoga practice. You may want to blow your nose before you begin. I’ve included Kapalabhati Breathing in my yoga sequence above (part 2). Sit comfortably (you can do this in Chair Pose if you have a regular yoga practice). Extend your arms out wide with your fingers curled in and thumbs up. Breathe in deeply once. Exhale your breath, quickly and strongly, through your nose and repeatedly for 10 – 20 breaths. The inhale is passive. Pull your belly in as you exhale: this will activate your core and help with the feeling of clearing out stagnation. Begin to slow your exhales down when you near the 10 or 20 mark. Lift your arms up, bringing your thumbs to touch above your head, and hold your breath for a beat. Release your breath out slowly as you lower your arms to your lap. Breath normally. Feel. Be. Begin again. Do this for 3 rounds. Notice the feeling of rejuvenation afterward! 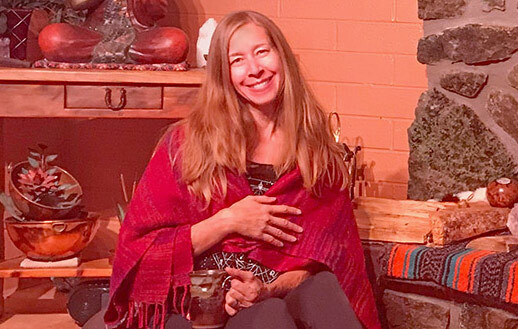 Nicole Alexander is a Yoga Teacher, Ayurveda Wellness Counselor, Astrologer, and Writer. She lives and teaches in Westchester County, NY. Visit her website to learn more about her services and offerings: NicoleAthena.com.